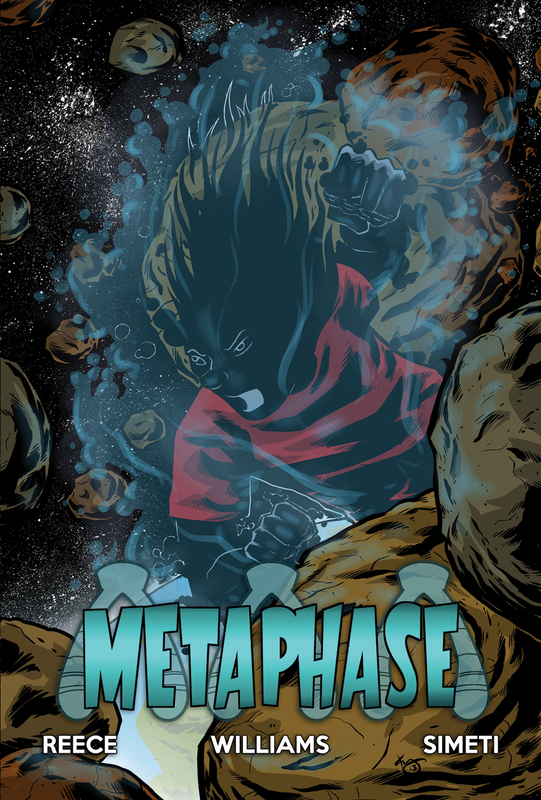 The Fellowship has obtained a first look at METAPHASE from Alterna Comics. 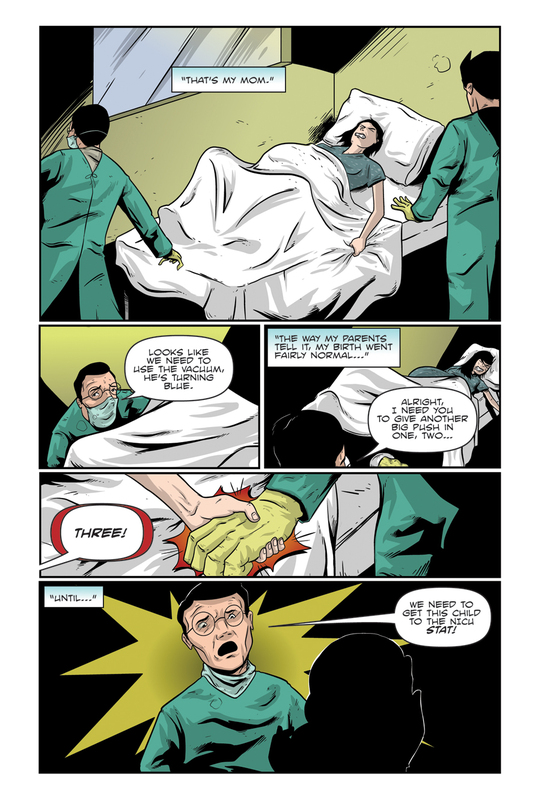 The graphic novel, which hits stores June 17th, is written by Chip Reece with art by Kelly Williams. 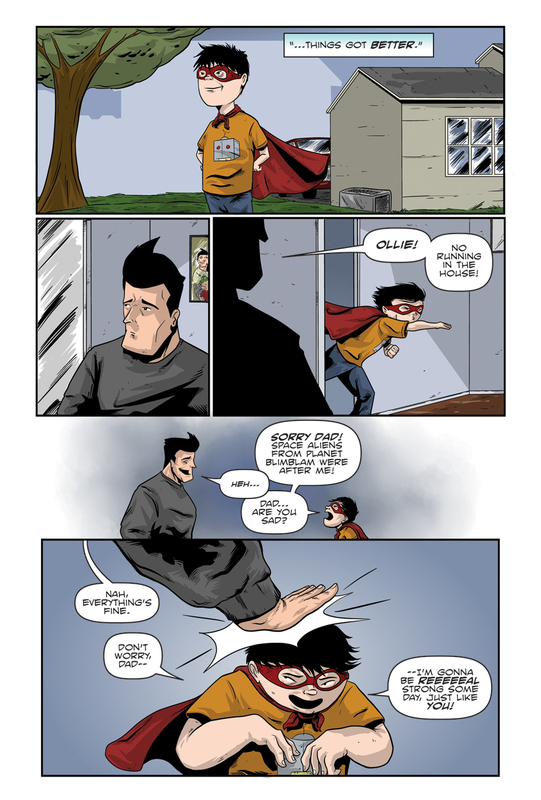 Ollie, a boy with Down syndrome, wants to have powers just like his superhero dad. The problem? 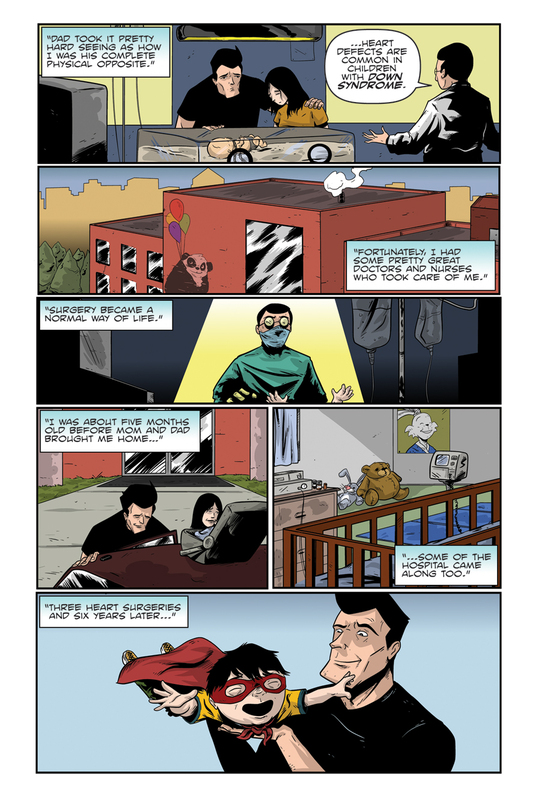 With congenital heart defects, his father has no intention of letting his son get in harm's way. 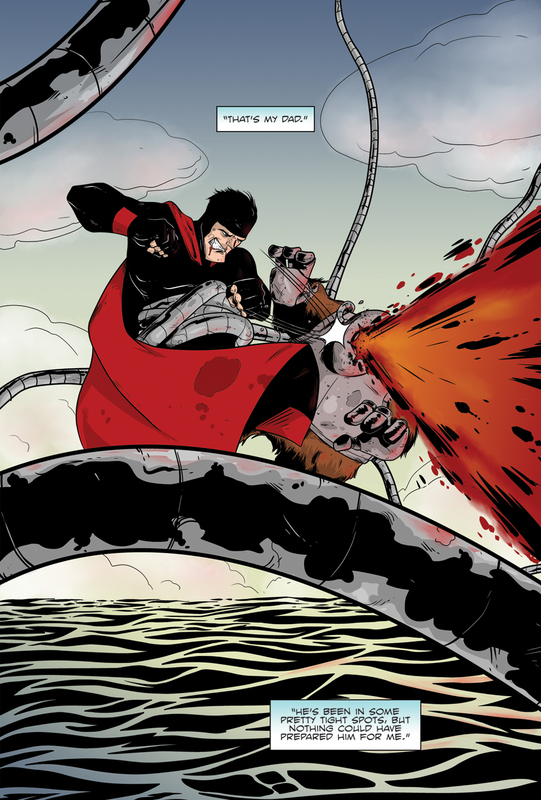 Enter Meta-Makers, a company that promises to give powers to anyone who wants them, an opportunity Ollie can't resist. Will he become the hero he wants to be or will his ambitions lead to the destruction of the person he admires most?